In September we can expect to see a surge of new Coca Cola advertising as their newest product hits the UK shelves. the soft drinks giant hasn’t released a new Coke variant in the UK for 8 years, which was Coke Zero. 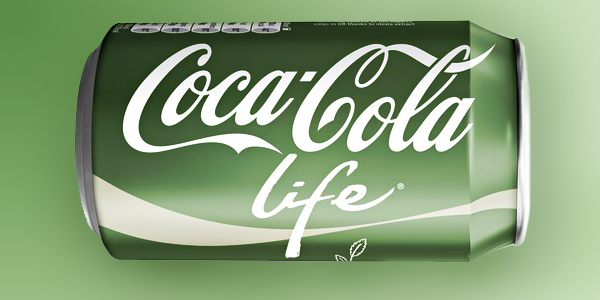 Now in response to pressure to promote a healthier lifestyle, and as part of its anti-obesity drive, Coca Cola brings to market a new drink which has fewer calories and contains a natural sweetener extracted from the South American stevia plant. 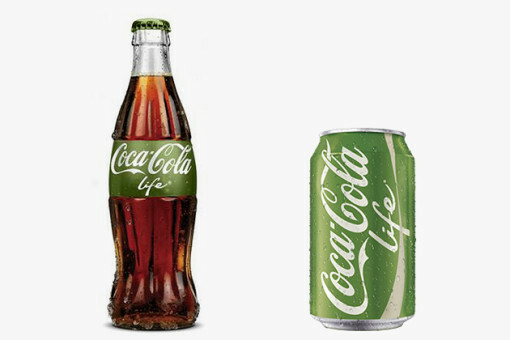 The thing that interests us most about this new product launch is Coca Cola’s departure from their signature, highly recognisable bright red branding in favour of a deep green packaging. While this is clearly to highlight the natural and “healthier” elements of this new product, Coca Cola has already faced harsh criticism from health groups claiming that it misleads consumers into thinking it is a healthy or organic drink. The new soft drink, while reduced in calories to 89 (normal Coke is 139 per 330ml), still contains more than 4 tea spoons of sugar in each 330ml can. So will this deviation from their trademark red hurt sales? And will it incite a backlash from the market when they realise that it’s, perhaps, as healthy as the lush new green packaging would suggest? Or will it just taste gross?